For driving directions to this point, click here. Established and maintained by the Haddam Land Trust, the trail is marked with white blazes. 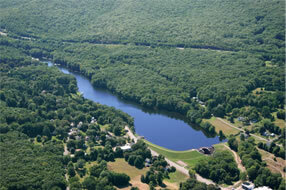 For more information on the use of the Reservoir owned by DEEP Click Here. 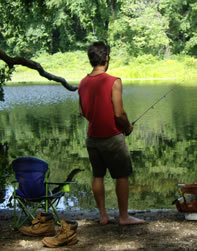 In addition to hiking, the Higganum Reservoir trail offers access to some great fishing spots. 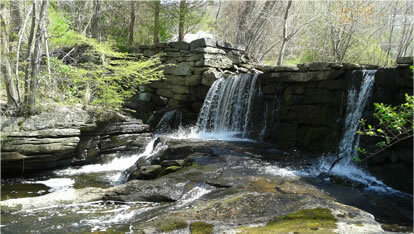 Waterfalls created by an old dam add beautiful signs and sounds to this trail. © 2019 HaddamTrails.org. All right reserved. HaddamTrails.org is a not-for-profit volunteer organization dedicated to sharing information about trails in Haddam, Connecticut.